Thank you for downloading our theme. This document will guide you to install theme and setup your website quick and easily. If any issue occurs during installation, please feel free to get support through our Support, we are here to help you. Click Browse and select current version of courtyard.zip in your computer. 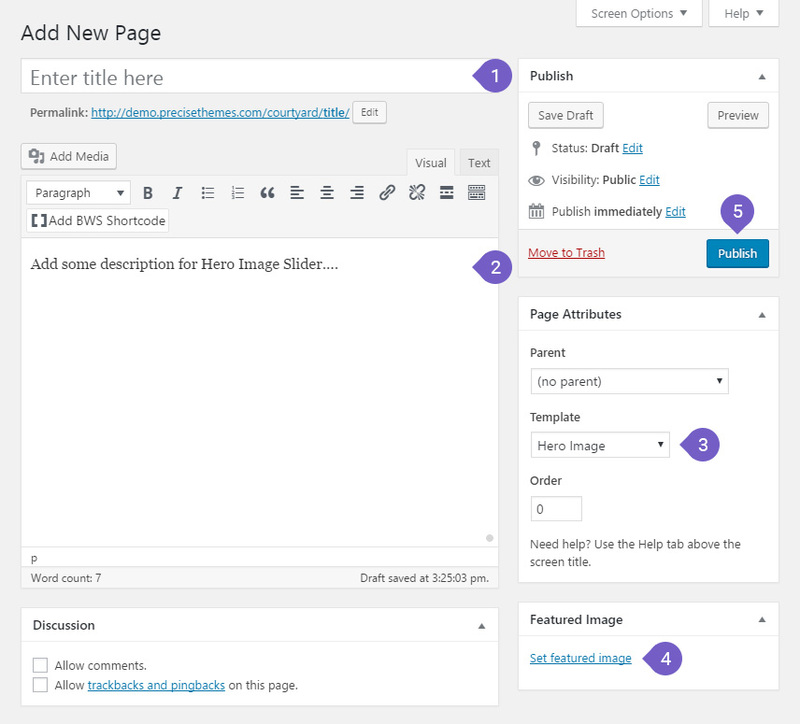 After theme installation you will find some blog post on your front page. You can setup and customize to beautify front page by following steps. 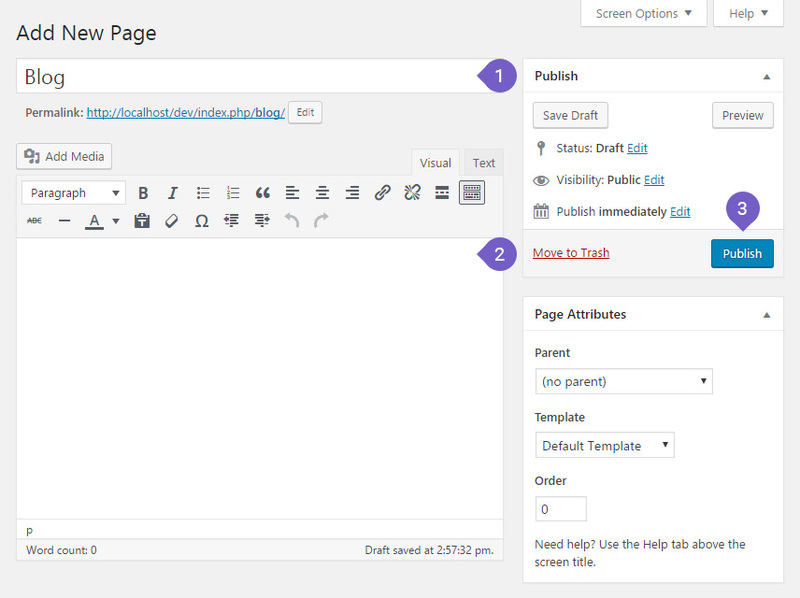 Step 1: Create a Page with page template "Front Page"
Create a new page, Go to Pages > Add New. Give a suitable title. For example name it: Home. 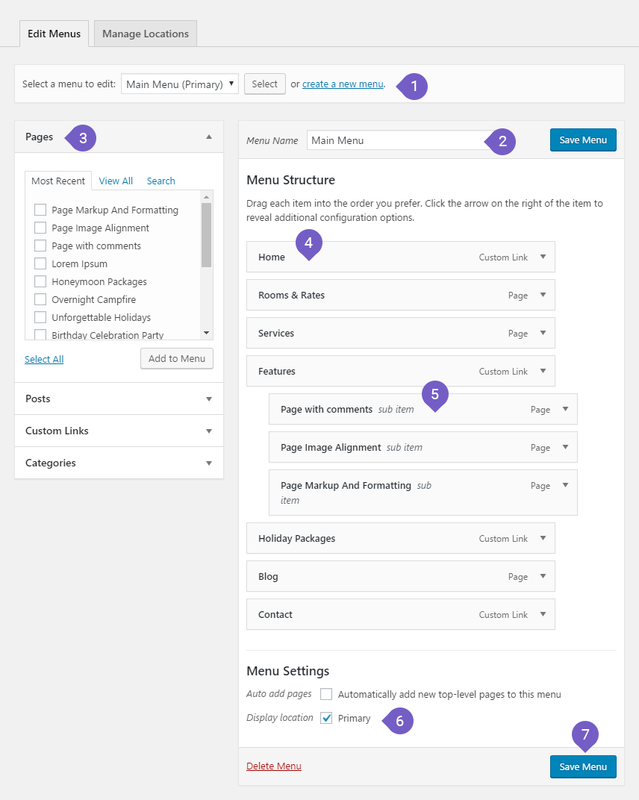 Select a page template called Front Page from dropdown list . Publish to save and publish. Step 2: Set a page "Home" ( recently created page ) as "Front page"
Set radio button to A static page (select below). Select a page "Home" ( recently created page ). 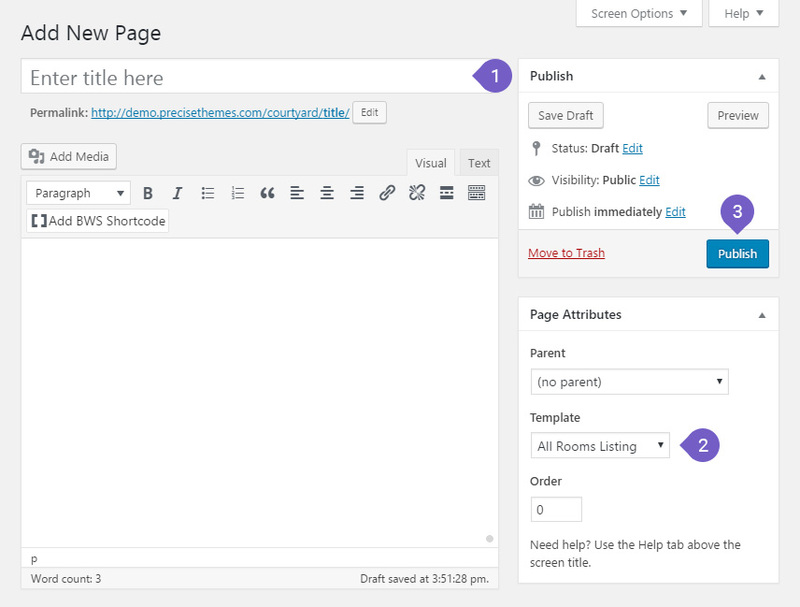 You can see our built-in widgets along with WordPress built widgets. You can add widgets as your requirements. Highlighted widgets are pre built by our developers. Drag Widgets to Front Page - Home ( recently created & assigned to front page ). Each widgets have it's own settings, you can customize. Optimized Bootstrap, css framework with custom optimised version. Click on Toggle button to change, white circle with blue background is ON and with gray background is OFF. Click on Select Image, choose preferred image then click on Choose Image button ( bottom right corner ) then set background properties as follow. Preset background image properties list you can select quickly. 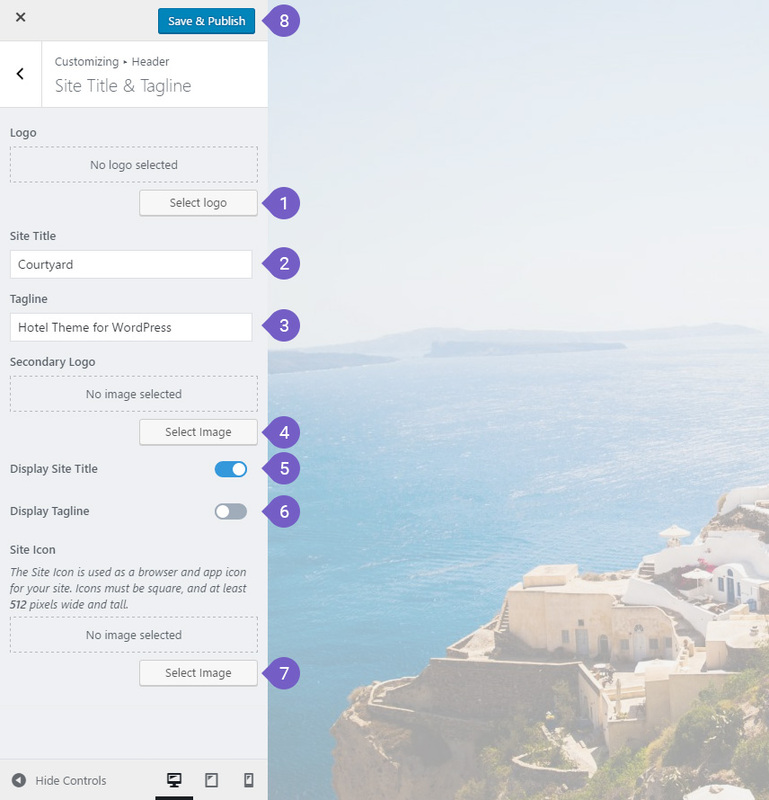 Image Position you can set by clicking. Image Size you can select as your requirement. Repeat Background Image checkbox to set the background image repeat to fill whole page for long pages and for smaller images. Scroll with Page to set background image whether you want to be fixed or scroll as page is scrolled. 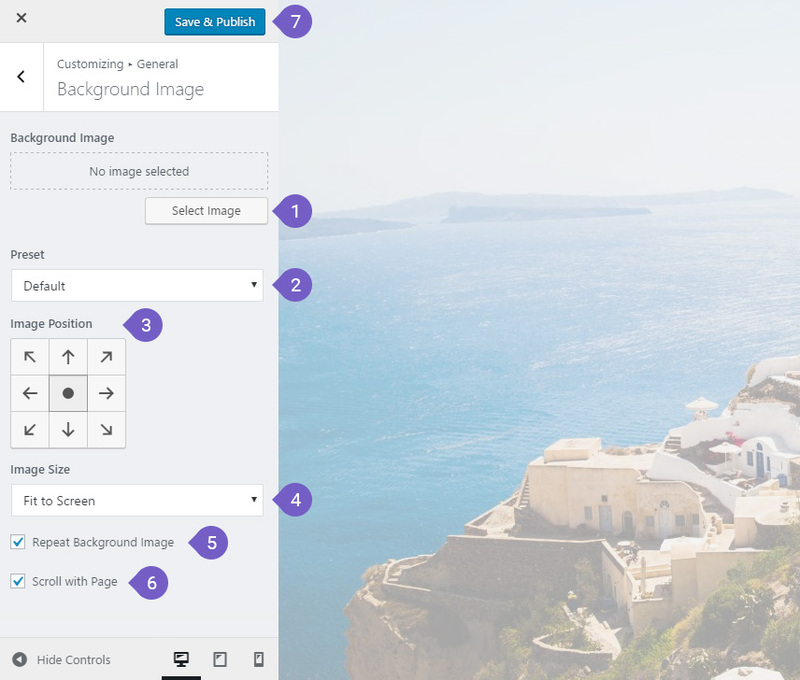 Click on Select Image, choose preferred logo image then click on Select button ( bottom right corner ), then crop image or skip cropping, its up to your requirements. Add suitable Tagline, its like slogan that display below logo. Secondary Logo can be set which is shown on header for Home Page. Click on Select Image, choose preferred logo image then click on Choose Image button ( bottom right corner ). Display Site Title, click on Toggle button to change, white circle with blue background is ON and with gray background is OFF. Display Tagline, click on Toggle button to change, white circle with blue background is ON and with gray background is OFF. Site Icon (favicon), click on Select Image, choose preferred logo image then click on Select button ( bottom right corner ), then crop image or skip cropping, its up to your requirements. Select Video to upload and set header media or you can also add YouTube video link. 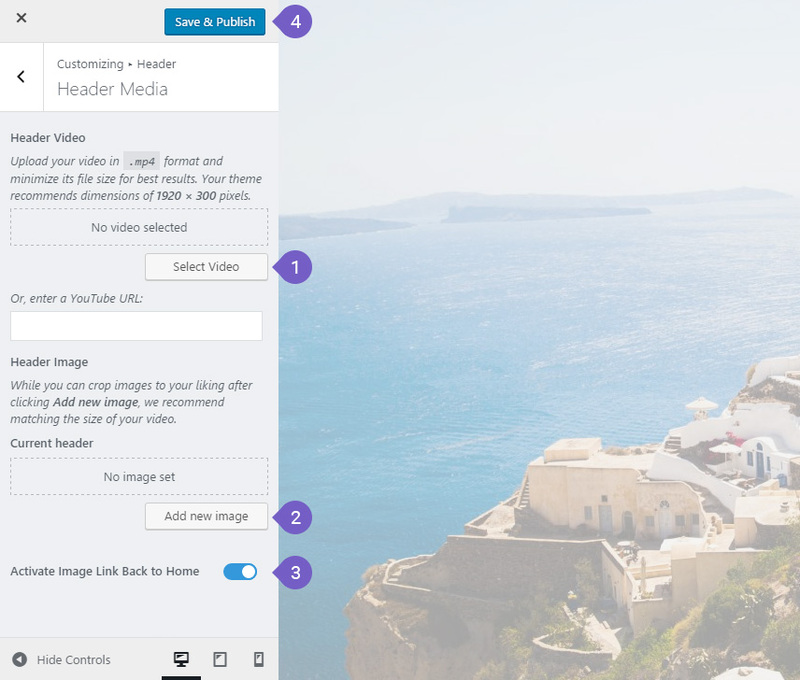 Set Header Image, you can select image for header background, you can even set multiple header images and randomize uploaded header images on each time page load. Activate Image Link Back to Home can be set to by clicking toggle button, white circle with blue background is ON and with gray background is OFF. Click on Add a Menu. Click Add Items then select Page, Post, Category, Tags or create Custom links to add into Current Menu. Set Display Location where you would like to show menu. Set Menu Options as you preferred. Select predefined Color Scheme as your website main color. 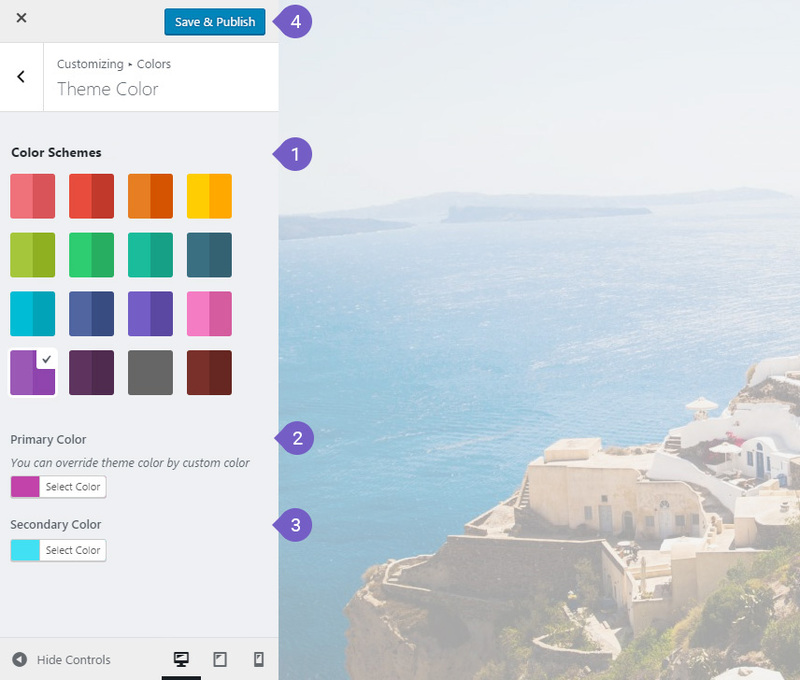 Primary Color can be set individually and will replace selected predefined color pallet. Secondary Color can be set individually and will replace selected predefined color pallet. Click on Add a Widget, select a widget and specify required data. Select Post Sidebar Layout, Post with right sidebar, Post with left sidebar and post with no sidebar. Activate/Deactivate Post Author to show author info within single post. Activate/Deactivate Post Date to show posted date within single post. Activate/Deactivate Post Categories to show categories within single post. Activate/Deactivate Post Tags to show tags within single post. These settings can be set to by clicking toggle button, white circle with blue background is ON and with gray background is OFF. Activate Post Navigation to show under each post. Can be set to by clicking toggle button, white circle with blue background is ON and with gray background is OFF. Excerpt Length slide to manually input value for excerpt length. Set to Read More Button by clicking toggle button, white circle with blue background is ON and with gray background is OFF. Customize Read More Text by entering preferred test. Select Sidebar Layout, content with right sidebar, content with left sidebar and content with no sidebar. Activate/Deactivate Post Date to show posted date for each post. 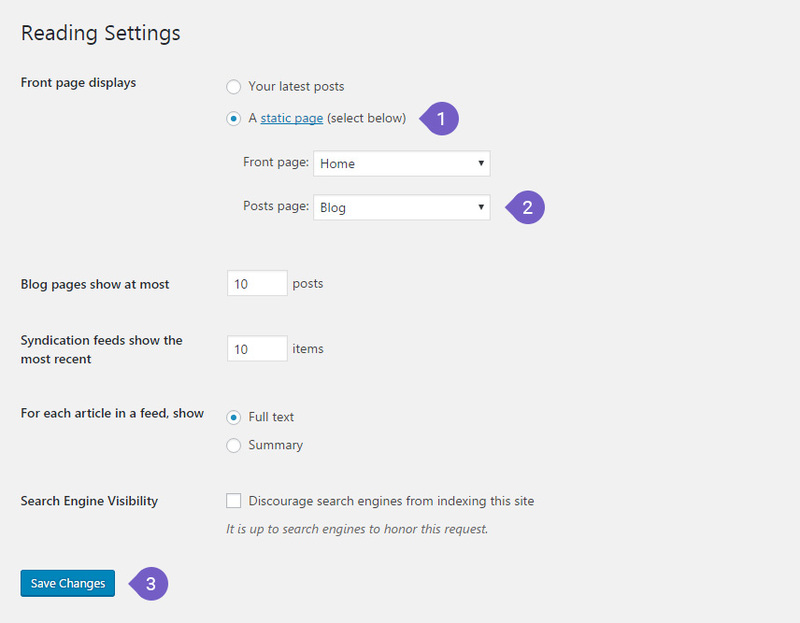 By default Your latest posts is activated and shows 10 posts per page at front page of your site. If you want to set a static page as a front-page then you can follow those steps. Select a page for posts page where your latest posts will be shown. Enable/Disable Got to Top Button by clicking toggle button, white circle with blue background is ON and with gray background is OFF. Available Widgets are listed along with some useful widgets built by our developers. Front Page - Home is widget position where you can add widgets to be displayed at Home Page. 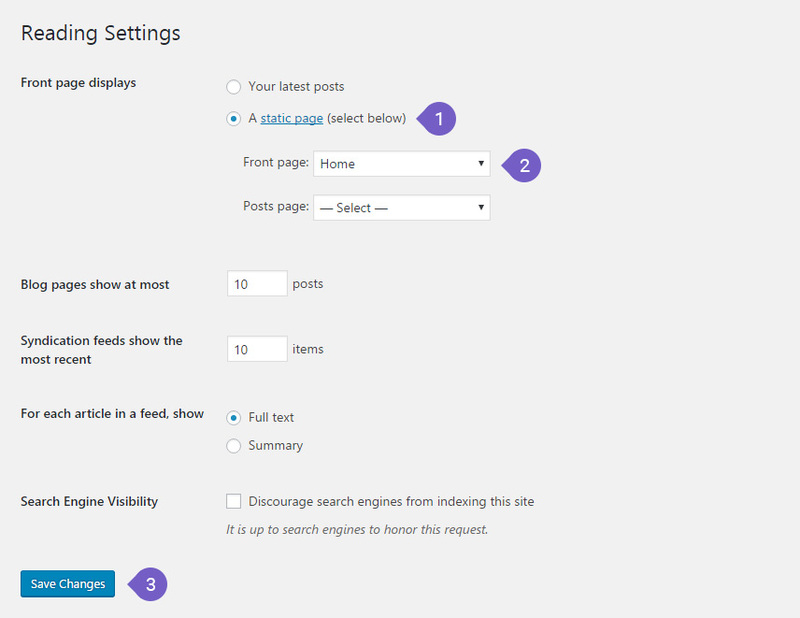 Sidebar widget position allows you to display widgets to the sidebar for single post and pages. Footer 1, Footer 2, Footer 3 and Footer 4 are widgets positions displayed at footer with 4 columns in a row. 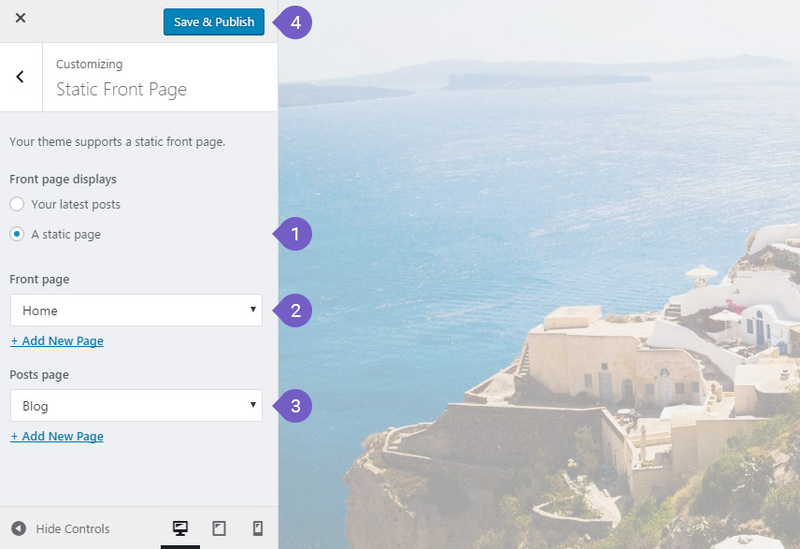 Select a page template called Hero Image from dropdown list . Give a suitable title for Room page. Select a page template called Single Room from dropdown list. Set Featured image for room. Give a suitable title for All Rooms Listing page. Select a page template called All Rooms Listing from dropdown list. Give a suitable title for Service page. Select a page template called Single Service from dropdown list. Set Featured image for Service page. Give a suitable title for All Services Listing page. Select a page template called All Services Listing from dropdown list. Give a suitable title for Package page. Select a page template called Single Package from dropdown list. Set Featured image for Package page. Give a suitable title for All Packages Listing page. Select a page template called All Packages Listing from dropdown list. 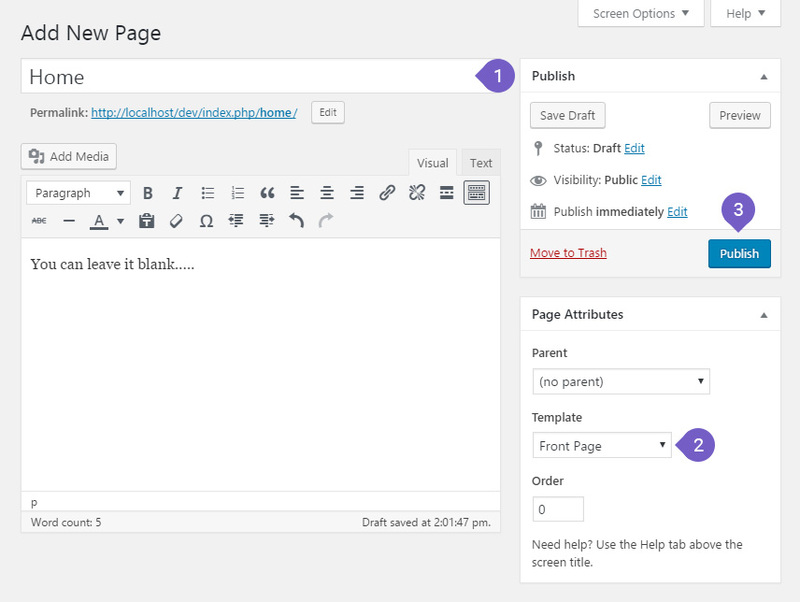 Step 1: Create a Page with name "Blog"
Select a page "Blog" ( recently created page ). Our support members are ready to help you out to setup your website. High priority support for member using premium themes. Ticket Support includes answering about theme and its features & functionality and fixing bugs.